PLEASE UNDERSTAND THAT THIS IS NOT A REFERRAL LIST. It is a networking roster so that you can link up with interesting and knowledgeable people from around the world, to begin, or continue your own explorations. and learn the Voice Dialogue technique? 1. You will receive enormous new insights about yourself and others, your relationships, health and many other areas of your life just by watching the series. It is ideal if you can watch it several times to really imbibe the knowledge and the Voice Dialogue technique. Why is this? Because the information is multileveled – some people have watched the series up to 12 times, and report that they understand something different each time they watch. Then, once you are confident, if you want to, use the Voice Dialogue method to help you take yourselves to far deeper levels of communication and understanding. You will be amazed at what you have available within yourselves. We have a list of Voice Dialogue facilitators on this website page. It is always best to contact a few facilitators if there are several in your area, to ask about their training background, and see who you feel is most suitable to work with. Perhaps even try a few until you find one you enjoy working with. Voice Dialogue is very straight forward and easy to learn. It is available to everyone, you do not have to be a counselor or psychologist to practice it. It can be done between any two interested people who have learned the technique (partners, family, friends etc). 3. If you are interested in using Voice Dialogue professionally, Hal & Sidra strongly recommend completing a formal Voice Dialogue training course. See www.voicedialogueinternational.com for more information. Ana is available for individual – and couples sessions, also over the phone. She conducts Voice Dialogue Trainings and Relationship Seminars. Astra has trained with Drs Hal and Sidra Stone in the USA and Australia. She has worked on staff at Hal and Sidra’s and Michael Rowland’s workshops. She has been facilitating and teaching Voice Dialogue since 1997 and has been using Voice Dialogue in her own life since 1992. Astra is the author of the email newsletter Daily Voice Dialogue. She’s also edited books which promote Voice Dialogue and was Managing Editor of WellBeing magazine. Her tertiary qualifications are in philosophy and education, which included the study of consciousness and the mind, theology, the philosophy of science, women’s issues, and child development and psychology. Astra has been meditating and practicing yoga since 1992 and is certified in Reiki II. John has over 10000 hours working with individuals and groups in a variety of settings. In addition to the above qualifications and experience he has completed one years intensive training in Voice Dialogue with the Australian Institute of Relational Training, is a qualified NLP Practitioner and has spent over 15 years in the personal development field as a facilitator. John’s work focuses on personal effectiveness and relationship building. He conducts individual coaching and counselling as well as group workshops. In addition to his private practice he has over 10 years experience in designing and implementing leadership and change programs in corporate environments. M.Ed (Counselling), Registered Psychologist. Member Australian Academy of Hypnotic Sciences. Trained in Voice Dialogue with Hal and Sidra Stone, Thalia Castles and Berenda Dekkers. In the last 15 years Linda has worked as a counsellor in a variety of organisations and in private practice. She sees adults with depression, anxiety, grief, relationship concerns and career / life decisions. She blends skills and knowledge from training in hypnosis, cognitive behaviour, methods and dreamwork. She is particularly interested in dreams, depression, stress and understanding relationship dynamics. She also does body dialogue. Registered Psychologist, Career & Life Coach, Reiki Master/Teacher. For over 10 years Jill has worked as a Psychologist and counsellor in both business and private practice. Jill completed the Level II Voice Dialogue training with Hal and Sidra Stone in California. She has also completed qualifications in Clinical Hypnotherapy, Adult Career Development and Energetic Healing. Jill is passionate about adopting a holistic approach with her clients and she combines counselling with voice dialogue, emotional freedom technique and energetic healing. Jill assists her clients with a range of issues including anxiety, depression, self-image, life purpose and career/life direction. 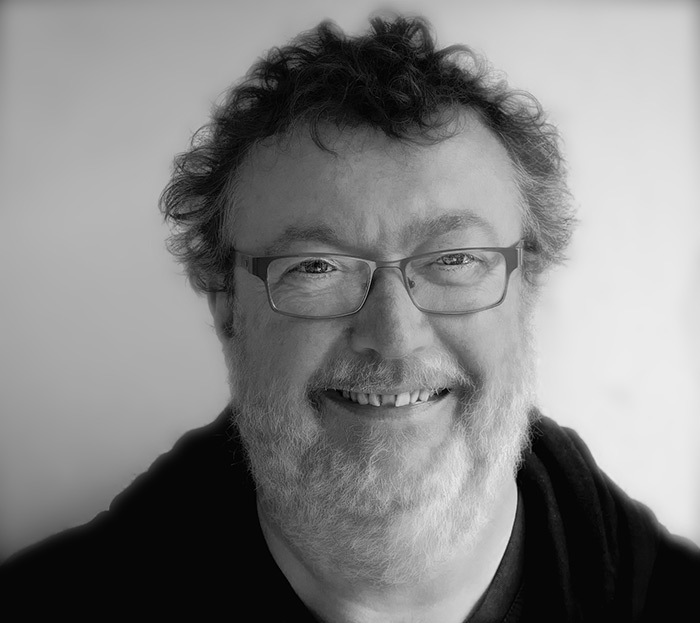 Greg McHale has more than 25 years experience in counselling, psychotherapy, and education. His background includes extensive experience initially in community mental health and later in private corporate counselling and training, private practice and University teaching. 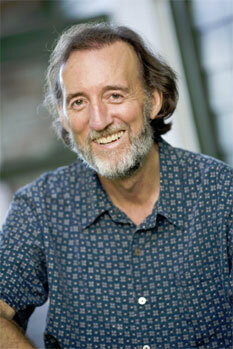 He was director for many years of a private trauma counselling company and is an accredited Gestalt psychotherapist. He has more than 15 years experience with the Voice Dialogue method, having trained in Australia with Hal and Sidra Stone and other Voice Dialogue facilitators. He works extensively with Voice Dialogue in private practice and uses the Psychology of Selves principles in teaching Counselling, Communication , Conflict Resolution and Group Processes at University. He is currently in private counselling practice near Byron Bay and teaches at the Southern Cross University and the North Coast Institute of TAFE. Background in youth work, Community Development, personal growth and Spiritual Healing. Trained in Voice Dialogue with Ana Barner. Former Director of Detoxification Unit at St Vincent’s Hospital and consultant to the Langton Centre where he ran therapy group and did psychoeducation. Blake has a private practice in counselling and Voice Dialogue and facilitates seminars for an international personal development organisation. He has been in private practice for 12 years. Cliff has trained extensively with Robin and Paul Gale-Baker. He combines his vast business and personal development experiences with the powerful Voice and Body Dialogue techniques to assist clients with achieving personal success in Business, Wealth Creation, Health and Sport. Cliff is also a practising Remedial Massage Therapist. His practice is located at the Neutral Bay Health and Well-being Centre. BSc (ANU), majoring in Psychology and Neuroscience. 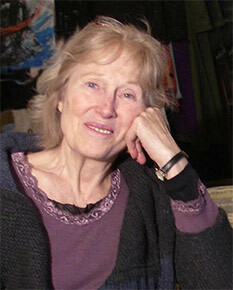 She has trained with Drs Hal and Sidra Stone, and done Body Dialogue work with Judith Stone in the USA (1999). Sue has completed the one-year training course through Voice Dialogue Australia (1999) and has also completed Michael Domeyko-Rowland’s Mastery Training Course (1998). Sue has completed a self-hypnosis/hypnotherapy apprenticeship with Eugene Veshner in Canberra. Sue has a strong background in health and nutrition, and works with clients with specific health problems such as Glandular Fever and Chronic Fatigue Syndrome, and with elite athletes. She is herself an elite athlete. Sue provides health programs (exercise and nutrition), Voice Dialogue, hypnotherapy and self-hypnosis, as well as complete wellbeing packages. Lorraine Benham is a Master Practitioner of NLP, a Master Hypnotist, a Certified Trainer of NLP, a Core Transformation Facilitator, a Voice Dialogue Facilitator and a trained teacher. Lorraine has a special interest in personal development and dream work and specialises in working with individuals. She is the Director of Mevlana Healing Centre in St Kilda. 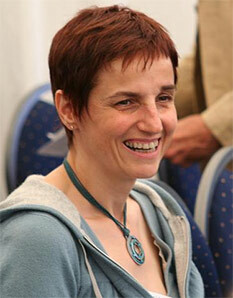 Thalia Castles is a Feldenkrais Practitioner, Physiotherapist and Voice Dialogue Facilitator. She has trained with Hal and Sidra Stone in the USA and Australia and with Robin and Paul Gale Baker. Thalia does short term Voice Dialogue work for personal growth. 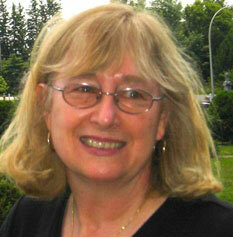 Fran Faulkner is a Social Worker, Counsellor and Voice Dialogue Facilitator. She has trained with Robin and Paul Gale Baker. Fran has 30 years professional experience in a range of settings. She is currently employed by the Alzheimer’s Association as Regional Counsellor and is in private practice with Adaptability Consulting. Fran has a particular interest in health and wellbeing, loss and grief issues, relationships, rehabilitation, communication training and organisational consultancy. Sue Jeavons is a registered Clinical Psychologist and has done training in Somatic Psychotherapy as well as Voice Dialogue. She works part time for La Trobe University and part time in private practice. In addition to using Voice Dialogue for personal development, she has a particular interest in working with people with illness and injuries. lives. Sue has trained with Hal and Sidra Stone. B.A. (Hons). Registered Psychologist. Member Australian Psychological Society. Member of the College of Counselling Psychologists. 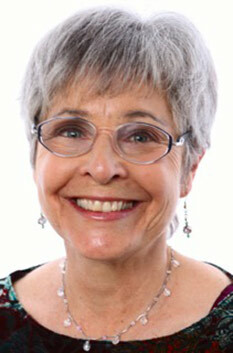 Diana has worked as a Psychotherapist and Therapist since 1972 and with Voice Dialogue since 1990. She has trained extensively with Hal and Sidra Stone in both the USA and Australia. She was a co-founder of Victorian Voice Dialogue and is a Senior Trainer with the Australian Institute for Relational Training. Diana has a private practice in Carlton where she enjoys working with couples and individuals in therapy, and also provides coaching and corporate trainings. Gale-Baker and Hal and Sidra Stone. Gilda is experienced in working with diverse ethnic groups and she speaks fluent Italian. Annie Slaughter has an established practice of massage, Reiki healing and Reiki teaching. Annie has experienced great personal empowerment and balance in her own personal work with Voice Dialogue. She has trained as a Voice Dialogue Facilitator with Robin and Paul Gale-Baker. Annie has been using Voice Dialogue with clients for about 2 years now and she feels most privileged to share this journey of discovery, awareness, reconciliation and wholeness. Annie’s practice is at Mevlana Healing Centre. Building Adaptive Capacity for individuals, couples, groups and organisations through Voice Dialogue, Feldenkrais and Aikido. Eric has been involved in Voice Dialogue for more than twenty years. He works with individuals and couples on a wide range of issues. Eric has always applied Voice Dialogue principles and practices to organisational development issues, assisting managers and leaders to access a variety of responses to the wide range of challenges they face. His work is dynamic and creative. He often combines the Feldenkrais Method of Movement Education and the energy dancing of Aikido with Voice Dialogue to demonstrate and catalyse the Aware Ego Process. Rick works in the greater Brisbane area. He has studied and practised the Voice Dialogue method since 1995. He has 20 years experience of delivery of training programs in Management and Communication at TAFE and has presented workshops and courses at various locations. His private practice offers individually tailored facilitation sessions. Rick also runs regular groups in Voice Dialogue. Brisbane/ Gold Coast/ Sunshine Coast. Rhia offers Voice & Body Dialogue sessions online via skype or in person from Brisbane. With over 10 years solid experience Rhia still apply’s voice dialogue in her life today. She occasionally runs weekend training courses as well. Over a decade ago I learned all about voice dialogue, I am not a counselor and have no absolutely no accreditation. What I do have is a passion for voice dialogue and know how powerful it can be. My aim is to provide an environment where people can come together and be facilitated and to facilitate others. At these sessions there will be no other techniques practiced; my aim (eer… or should I say, my ‘rule-makers’) is that we do as much of the voice dialogue as possible in the 1½ hour and to keep it as closely in line with Hal and Sidra Stone’s teachings. Claire has studied the Voice Dialogue method with Hal and Sidra Stone. She has been practising Voice Dialogue since 2004. She combines her extensive teaching and personal development experience with the powerful Voice Dialogue method to assisting her clients prosper in the desired areas of their lives. Please visit her webpage for more details. 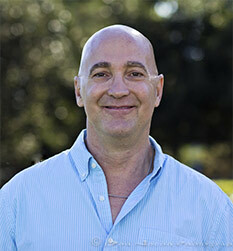 Kris is a counsellor, conflict resolution coach, trainer, and facilitator based in Woombye on the Sunshine Coast. She has been using voice dialogue since working with it the late 80s and trained as a voice dialogue facilitator in 2005/2006 with Robin and Paul Gale-Baker. She has a Diploma of Counselling, and a Dip.Teach. with an MA Hons (Ed) and is also trained in conflict resolution, group facilitation and bereavement counselling. Kris offers straightforward facilitation as well as counselling and also does couples and relationship counselling working with bonding patterns. She draws on an extensive background in Jungian psychotherapy and dream work and over 20 years’ study and work in the human potential field, including workshops and facilitation at a spiritual retreat in India, in New York and self esteem work with children. Kris has developed a tool called A Spiral of Wisdom for life journey and goal support and regularly runs workshops at the Relaxation Centre of Brisbane on these and voice dialogue themes. She finds voice dialogue to be a powerful tool for developing aliveness, freeing up self expression, resolving both internal and relationship conflict and allowing deep and life-changing self acceptance. Chris trained in Voice Dialogue with Hal and Sidra and Ana Barner. Since Chris completed his Honours degree in Applied Psychology at UNSW in 1976, he has studied Craniosacral Therapy, Remedial and Rhythmic massage and attended many training courses in various bodywork therapies, spiritual healing and reiki as well as meditation, yoga and chi kung. He taught at Nature Care College for 11 years and was the Staff and Student Counsellor at Nature Care College for 3 1/2 years. He has worked as a Counsellor and Body Therapist for more than 30 years and has a practice in Flaxton and Maleny in Queensland, Australia where he also assists on the current Body Intelligence Craniosacral Diploma course. Rabekah completed her Voice Dialogue Training with Ana Barner in 2000. She has a Masters Degree in Social Ecology at U.W.S., complementing her work and passion for transcending duality within the psyche and more broadly within society. Her special interest area is Adoption and her book on the subject is pending publication. Rabekah has explored many healing modalities over twenty five years and has found Voice Dialogue to be the most direct,effective and integrative method of self discovery and growth. 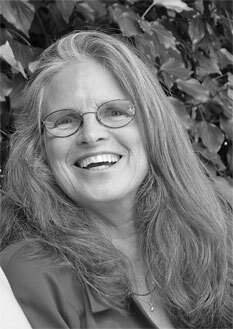 Robyn trained in Body Dialogue and Voice Dialogue with Tamar (Judith) Stone (Hal Stone’s daughter) in Boulder, Colorado (USA), Robin and Paul Gale-Baker and Michael Rowland and has practiced Voice Dialogue for more than 18 years. Robyn is a Professional Counsellor and Spiritual Psychotherapist with a Diploma in Counselling from James Cook University (Distinction), and holds a Diploma as a Licensed Practitioner of Neuro-Linguistic Programming (NLP). As Robyn is a Spiritual Psychotherapist, she cares for the wholeness of you – your mind, body, spirit and emotions. She believes strongly in empowering her clients. Robyn successfully combines Voice and Body Dialogue with Mental Imagery (Creative Visualisation), NLP, CBT and Stress Management all in a totally confidential, comfortable, safe and nurturing environment. Many of her clients have uttered words like “amazing” and “awesome” at the end of a session – as they felt the various “shifts” of energy moving them. Annie Stoker BSc is an author, speaker, psychotherapist and Voice Dialogue facilitator and trainer who is passionate about helping people find happiness no matter what is happening in their lives. Having spent 27 years studying the human mind, Annie combines Voice Dialogue with time honoured spiritual practices in her profound Core Coaching programs. She has worked with several thousand clients to help them transform their happiness levels, relationships and material success. She has completed the 2 year training with Voice Dialogue Australia and attended trainings with Hal and Sidra Stone. Annie worked as best selling Michael Rowland’s manager for 10 years, and for the last 7 years has coached international speaker Joanna Martin’s high end clients . 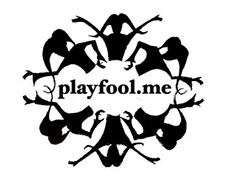 She collaborated in creating Oneofmany.co.uk and is their master trainer and Head of Coaching. She has run many transformational trainings across Australia, in the US and in England for many groups including practitioners, couples, investors and entrepreneurs. Annie’s “The Personal Development Handbook” is a profound yet simple guide to being happy for no particular reason, and she is author of “Ms Millionaire” and “Property is a Girl’s Best Friend”. Annie has been featured on television, radio and in newspapers for her clarity in being able to rapidly identify the cause of people’s challenges and then give them the tools to begin creating contentment no matter what. Matthew has been involved in self-development and self-awareness for over 15 years, both with his personal growth and working closely with others. He has studied and practised Core Energetics, Spirit of Freedom, Landmark Education and more. Based in Perth, he runs a small private practise, utilising his wide range of knowledge & experience and more importantly, understanding & empathy. He mainly operates within the Core Energetics model, which combines Voice Dialogue (Jungian Psychology of Selves), Cognitive Behaviour Therapy (CBT) and Body Psychotherapy methods to provide assistance to others in their healing journey. Matthew is soon to be graduating with a Diploma in Heart Energetics (Counselling) in early 2008, and then continuing with the Graduate and Advanced Diploma in Heart Energetics (Body Psychotherapy). He also runs an online website selling books, DVDs and other products in the body-psychotherapy genre. Contact him on 0409 475 477 for a private, non-judgmental discussion about where you would like to have some freedom in your life. Kali has been working with Voice dialogue since late 80’s, she used V.D and dream work in her own personal recovery from life threatening cancer. Kali has attended several trainings with Hal and Sidra Stone in Australia. She has also trained with Dorsey Cartwright, Sedona, Valma Granich, John Bligh Nutting “Growing Awareness” and Miriam Dyak. Kali is also a clinical hypnotherapist /counselor and is experienced in Jungian, Gestalt and Voice Dialogue dream work. She has studied Lucia Cappachione’s work and the application of art and art therapy to VD. She is a highly experienced body worker, and qualified as a Master yoga teacher. Kali has held many trainings in Voice Dialogue ” Getting to know your selves” “Explore your inner Critic” Voice Dialogue for beginners” ” Voice Dialogue for couples” etc. She is available for private sessions, trainings and spiritual retreats. Soy Psicóloga, estudiosa del diálogo de voz y me parece una herramienta de gran valor en la exploración y liberación del inconsciente para el trabajo terapéutico. Lo aplico en la clínica privada. Nora Fusillo – Certified Public Accountant and Enterprise Consultant, oriented to the Professional Potential Growth. Covers worldwide companies as well as family or individual businesses. Special application for groups of unemployed people. Developer of an Introductury method to prepare people for VD. Group trainer Levels I and II and individual sessions. For workshops and more information, please visit our website. Silvia Purnima Brejcha – trainer for personal development. Voice Dialogue Center Vienna since 1998, sessions for individuals, couples, introductory workshops, communication training, groups for women – work with Inner Patriarch. The institute offers an extensive Voice Dialogue Facilitator Training consisting of 18 days of training ( 3 blocs of 6 days) Professionals can get individual sessions as well as supervision in their work. Every one, also non professionals, are welcome to receive Voice Dialogue sessions. Donna has successfully combined Voice Dialogue facilitation and Body Dialogue with individuals, and couples via website video conferencing. Available at Armstrongs’ Counselling Services. Has 35+ years as a professional therapist who enjoys both facilitating and teaching Voice Dialogue in clinical or workshop/training settings. Contact him at Armstrongs’ Counselling Services. 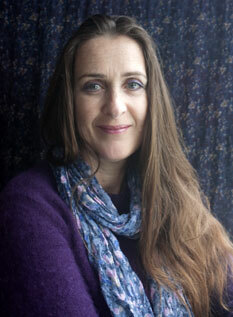 Lorena is a Holistic Therapist, Shamanic Practitioner, Voice Dialogue Facilitator and NLP Coach. She has integrated Voice Dialogue with Shamanic Energetics. She teaches Dialoguing with Sub-Personalities in the Spiritual Psychotherapy Training program at the Transformational Arts College in Toronto, Canada. In addition she has developed and teaches Shamanic Energetics, a program which encompasses a psycho-spiritual journey through the Medicine Wheel. It integrates energy medicine, shamanic practice and includes dialoguing with sub-personalities connected to each Medicine Wheel direction. Pastoral Counselling, Befriending yourself; healing relationship. Individual and couples experiential therapy based in the Psychology of Selves. Voice Dialogue facilitation. Tancie Hay – B.A., M.B.A., certified NLP Master Practtioner, retired Human Resource Manager and personnel counselor, offers Introductory Voice Dialogue Workshops and individual counseling sessions. Mary-Anne Johnston – M.A., Jungian Analyst (Zürich), Ontario Society for Psychotherapists, Voice Dialogue Facilitation in individual sessions. Further information is available on the website. Elizabeth Krieger – M.Ed. (Applied Psych), Clinical Member – Ontario Society for Psychotherapists. Applications in personal development, relationships, training workshops, bereavement, enhanced creativity and spiritual development. Ann Kerr Linden – MSW, OCSWSSW, Using Voice Dialogue with individuals; teaching courses in Voice Dialogue facilitation; integrating Voice Dialogue with EMDR, EFT and Matrix. For fuller description, visit our website. Voice Dialogue Summer Kamp 1992; Voice Dialogue Camp 2009. Individual sessions in Voice Dialogue and Lifestyle Counseling. Terry (Teresa) Waterland – BA Psych., M.Ed., Clinical Counsellor with ten years experience. Offering Voice dialogue facilitation and small group introductions to Voice Dialogue and Aware Ego Psychology. Voice Dialogue sessions & Counselling Therapy for individuals, couples & groups. Transformational teaching, therapy and international programmes. Facilitations – groups & individuals. Member of European Facilitators. Voice Dialogue groups, training in Aarhus. Telephone sessions on request. UKCP registered Psychotherapist who works both in private practice and in the NHS in London. His private practice is in Central London and he also works rom his home in Empshott, Hampshire. He has been studying Voice Dialogue with Hal and Sidra Stone since 1996. When working with couples he tends to work in collaboration with his wife Gabrielle Pinto. Preliminary appointments are free of charge. Working with Drs Hal and Sidra Stone since 1981 when she helped set up their first visit to London, Gabrielle is a qualified Homeopath and the author of Homeopathy for Children – she has developed a way of working with the body/mind that combines physical healing with Voice Dialogue. Gabrielle often works in partnership with here husband Martin Pollecoff from their consulting rooms in Central London and Empshott Hampshire. Annie sees private clients and runs individualised retreats near Bath, UK and offers online video sessions. Naomi Cotten – UKCP registered psychotherapist. Using Voice Dialogue since 1986 for individual sessions, group trainings & personal/professional coaching. Also uses new techniques for managing Post Traumatic Stress at emotional & physical levels EMDR/EFT. Bodywork. Trained in Voice Dialogue with Hal and Sidra in London, USA and Holland. – Has worked with Voice Dialogue for 16 years. Offers individual sessions and groups. – Psychology of Selves – Relationships – The child within – Creative and spiritual development Psychology of the chakras. Management trainer using Voice Dialogue in the areas of cross-cultural communication, conflict transformation, decision making, and stress management. Available for intensive facilitator trainings and private sessions. Lorna Knox – Offering Voice Dialogue individuals/ couples/ workshops. Working in the field of psychology for 21 years and in Voice Dialogue for 11 years. Guided phantasies & individual tapes. I used to feel a little confused about being a human. I thought we were supposed to be one person. So how come I felt pulled in so many different directions? How come sometimes I wanted one thing and then later on I was attracted to another thing that was almost opposite? And why could I never decide what to eat in a restaurant? When I first heard about Voice Dialogue I was really intrigued. Could this idea of different parts of self explain some of my confusion? Was there more to me than I thought there was? With my first session I was hooked. I really enjoyed and looked forward to my sessions! My internal voices, my inner selves, had finally found a place to express themselves! What an incredible sense of liberation! Toni Tye Preisler & Lee Preisler -Transformational Training UK – Experienced psychotherapy partnership since ’80 specializing in Voice Dialogue: individual sessions; couple coaching; intro weekends & courses in personal awareness/skills training/relational work; mail order books, tapes & videos. Transformational Intensives – American, training/working field of psychology 30 years. Providing exclusively Voice Dialogue/London since 1988. Individual/couple work, therapist supervision. Experiential/training weekends. and Voice Dialogue teaching for adults, couples and groups. 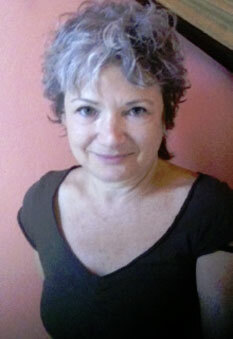 Celie Fox Cabane: BA-UCLA; MA-CSULA, MA – University of Paris; PhD – EHESS, Paris, France. I am now using the Voice Dialogue paradigm with Milton Erickson’s hypnosis therapy. Certified Gestalt Psychotherapist – Ecole Parisienne de Gestalt; Accredited member French Federation of Psychotherapy et Psychoanalysis; Certified European Psychotherapist. Genevieve Cailloux – MA, Offering Voice Dialogue Facilitation, Dreamwork, Psychotherapy with adults, couples and groups. Pierre Cauvin – Ph.D.,Organization Development Consultant – using Voice Dialogue in Training and coaching, with adults, couples and groups. Klaus Horn, PhD & Regine Brick – Psychotherapists, offering Voice Dialogue in personal and professional fields for individual processing, couples and organizations. Cordula Mears-Frei – Psychosomatic Health Counsellor, studied Naturopathic Medicine and Energetical Healing with strong focus on Voice Dialogue. Teaching Voice Dialogue with special interest in energetics, meditation and spiritual integrity. Artho and Veeta Wittemann – Psychotherapists. Voice Dialogue Center since 1991. Individual sessions, introductory workshops, two-year facilitators´training, patriarch-groups for women, business coaching. Visit our homepage, ask for our program! Holistic medicine and psychotherapy since 1978, focus on healing, integration and growth, Voice Dialogue, Energetic body-psychotherapy (original Reichian approach), Life-between-lives hypnotherapy with spiritual integration (LBL), Chakra-Healing and Inner Alchemy (Mystery School St. Germain) et al. Ora Gavriely – Voice Dialogue facilitator. Private sessions, workshops and training. Hebrew and English. Author of The Demon, the Nun and the Magical Child – A Journey to the Voices Within Us (in Hebrew). 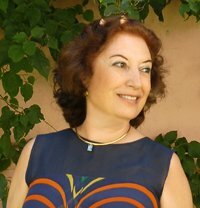 Elena Dragotto – Psychologist. Offering: Voice Dialogue Facilitation, workshops, university lessons. Franca Errani – Voice Dialogue Facilitations, Movement and Voice Dialogue in groups. Trainings. Vanda Nardon – Body Educator: Voice Dialogue Facilitations, study groups, trainings. on the rescue of the inner child. ARC-en-CIEL – School for Selfrealisation – drs Lietje Perizonius – Voice Dialogue Facilitator Training, Self Education Trainings , Individual and Couple Consultation, Supervision, Coaching, Open VD Evenings. Focus on AE. Circumference – Training and Individual Coaching in organinsations in the Netherlands and abroad. Focus: Personal and Professional Development/ Empowerment. Using Voice Dialogue, energywork, focussing, sensory awareness, autobiography, vision development. Wilma Deurloo – Trainer for Transformational Psychology and Voice Dialogue. Working with barren women through the grieving process of not having their own biological children, from infertility problems to acceptance. Gerhard Fasser – Psychosocial therapist, trainer, naturopath. Focusing, Dreamwork, Psychodrama, Family Constellations. Voice Dialogue for individuals, couples, groups. Facilitators’ training. Available abroad (English, German, Dutch, French). Drs. Wendy Y. Hobbelink – Director of Circumference, Trainer, Coach, Reader. Registered Psychologist (NIP, GZ). Using Voice Dialogue, energywork, intuitive methods, focussing, dreamwork in her work with groups and individuals in organisations. Institute for Transformational Psychology (ITP) – The ITP offers training programs worldwide in different methods i.e., Voice Dialogue, Energetics, Dreamwork, Focusing, Psychodrama, Group Dynamics, Rituals. 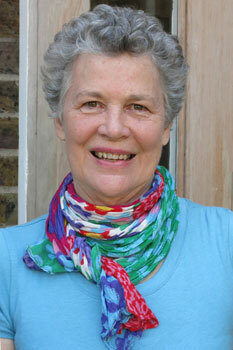 Joan Kensen – Counsellor, Social worker, Thantathology (bereavement and all forms of loss). Offers psychotherapy and Voice Dialogue facilitations for singles and couples. MaximuM – Maximiliaan Winkelhuis – offering management coaching and dancer’s coaching and danser’s coaching for groups and individuals in the Amsterdam office and abroad. Offering Voice Dialogue, energetics, focussing, core quadrants and creative visualisation. Momentum – offers trainings and coaching in the field of empowerment, leadership, communication, process of change, using a.o., Voice Dialogue, meditation, movement (taijiquan). Lietje Perizonius, drs – director of Arc-en-Ciel, Voice Dialogue Facilitator Training, Self Education Trainings, Individual and Couple Consultation, Open VD Evenings, Aware Ego Training, focus on Aware Ego, dreamtime, imagination. 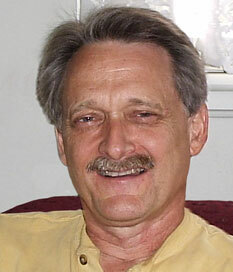 Robert Stamboliev – M.A., psychologist, consciousness teacher, director ITP and author of The Energetics of Voice Dialogue. also offers individual and couples therapy. Drs. Martin J. M. Thoolen – Director of Circumference, Trainer and Coach. Registered psychologist (NIP, Trainer). Using Voice Dialogue, energywork, focussing, group dynamics, Sensory Awareness in his work with groups and individuals in organisations. Frans Kocken – Trainer-consultant – Clinical Psychologist – Coach – Body-energetics – Group Process – Relationships – Dreambody and Worldwork (Mindell) – Individual & Couplework – Voice Dialogue Facilitation. Monique Beulink – Voice Dialogue trainer, art therapist and teacher Voice dialogue, at the Jungiaans institute. Using Voice Dialogue, creative expression and drawing with the left and right hand, for individuals, couples, groups. Ane Haaland – M.A. Social Sciences/development communication, journalist/ photographer. Offers training in interpersonal, cross-cultural and health communication, women’s strength and values, and Voice Dialogue to individuals and groups. Liv Dons Samset – PhD eq, Social Sciences/Educational Sociology. Voice Dialogue facilitator since 1989. Teaches Voice Dialogue and gives individual and group sessions. Ericka Allison – B.S.S. , Offering Breathwork: (i) rebirthing (ii) holotropic-style, individual sessions and groups; Voice Dialogue; Marriage Guidance; Relationship counselling; Esoteric Healing; Attitudinal Healing; A safe space to explore Spirit. Nellie Zeilinga – BA Soc Sc Hons., Relationship counseling, Voice Dialogue study group, Voice Dialogue Facilitations; Psycho-socio-spiritual seminars; Spritual Direction. 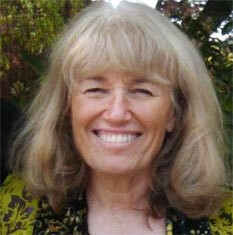 Leslie Zimmermann – Jungian Analyst; M.A. in Research Psychology. Centre for Voice Dialogue South Africa. Voice Dialogue Facilitation. Voice Dialogue workshops. Dream work. Relating to both the inner and outer worlds of reality and being informed by both as a means towards living a balanced, joyful life. Grupos vueltos a la investigación y desarrollo del propio potencial dirigidos a las mujeres, con el cuidado especial a la autoestima y los condicionamientos culturales y sociales. 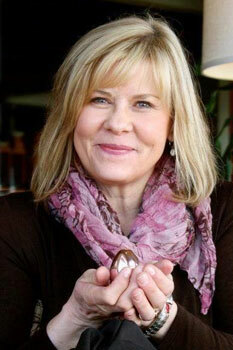 Irene Andersson – Voice Dialogue facilitator, Healing Tao instructor (Mantak Chia), bodyworker. Ane Haaland – M.A. Social Sciences/ development communication, journalist/ photographer. Offers training in interpersonal, cross-cultural snd health communication, women’s strength and values, and Voice Dialogue to individuals and groups. 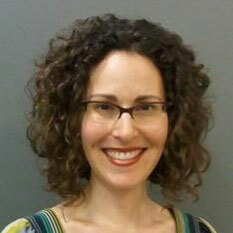 Yael Haft-Pomrock – ACET Dipl., New Israeli Jungian Society, member of Israel Association of Psychotherapy. Psychochirology, assessment of personality according to inner figures, using archetypal figures. A Voice Dialogue Facilitator. Martha Hauser – voice Dialogue Facilitator, Physical Therapist. Offering body wisdom and Voice Dialogue sessions and trainings. Individual Voice Dialogue sessions in the framework of a general medical practice. Joy Manne – BSc in Psychology; PhD in Buddhist Psychology; offering facilitation and training in Voice Dialogue, Rebirthing, Conscious Breathing Techniques, Family Constellations. Adelheid Oesch – Adelheid Oesch – VD – Hal & Sidra Stone; EEPS J. Manne; Mentor : Richard Moss ; Certified Imago Therapist. Voice Dialogue Facilitations: adults, couples, children. Study groups, yearly Trainings. 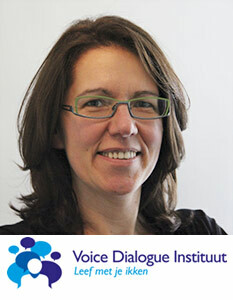 Anke Randegger – Ph.D., pharmacist, offering Voice Dialogue facilitations and trainings and cranio-sacral therapy. In the early 1990’s, shortly after I moved to Los Angeles, I was fortunate enough to find J. Tamar Stone (Hal’s daughter). Tamar remained my primary therapist and Voice Dialogue facilitator for years. After years of inner work and of studying all of Hal & Sidra’s books, I began training to become a Voice Dialogue Facilitator. Eventually I co-facilitated workshops with Tamar as well as with Martha-Lou Cohen and other highly talented senior staff members. I periodically offer workshops in Montreal and Los Angeles. I also train other psychotherapists on how to integrate Voice Dialogue in their practice. I am certified in EMDR and I am a part of the Trauma Resiliency Model community where Tamar and I are offering trainings to integrate Voice Dialogue to the TRM community. While I use Voice Dialogue in all aspects of my psychotherapeutic practice, I also specialize in trauma work and feel blessed to be of help to those who entrust me with their healing process. Bonnie Bernell – Ed.D., Counseling Psychology, Ed.D., Licensed Clinical Psychologist, Voice Dialogue for individuals, couples. Classes, workshops, including continuing education courses for psychologists, social workers, marriage/family counselors. I am a physician who specializes in Mind-Body medicine. I work with people who are struggling with all sorts of health challenges and illness. I’ve been using Voice Dialogue with my clients/patients since 2002. I have found it to be extremely helpful in discovering those Selves that have energetic repercussions for the body. Voice Dialogue can have a significant impact on freeing up energy for healing. I’ve witnessed health improvements in people with digestive problems, such as Irritable Bowel Syndrome (IBS), Crohn’s Disease and Ulcerative Colitis (IBD); migraine headaches (myself included! ); asthma; anxiety; and chronic stress; with significant decrease in frequency and severity of symptoms, decreased need for medications, and improved energy and quality of life. Voice Dialogue is a fabulous mind-body method for healing. I began to use Voice Dialogue after learning about it in a Master’s degree program in Integral Counseling Psychology at the California Institute of Integral Studies in San Francisco, CA, from instructor John J. Prendergast, PhD, after which I took several workshops with Deborah Morris, LCSW. I have been receiving ongoing training from Martha-Lou Wolff, senior Voice Dialogue facilitator and trainer, since 2013, and was privileged to experience a private tutorial with Hal Stone in April 2015. I am always thrilled to share the work of Voice Dialogue with my clients, because it gives them the technology to have more choice for themselves, and facilitates ongoing self-knowledge to live an aware and healthier life. I offer private voice dialogue therapy sessions, carpet work, ancient vedic meditation, Ayurvedic Health Consultations and therapies in Northern California. 15-minute free introductory session. Sindona Cassteel – MA Clinical Psychology, MFCC. Training all levels specializing in clinical, business, travel applications, facilitation individuals, couples, groups; consultations for therapists using Voice Dialogue. Continuing education credits available. 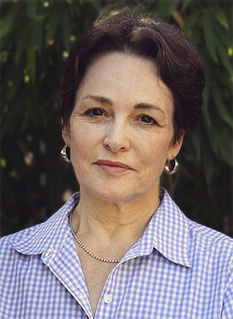 Martha-Lou Cohen, PhD – Clinical Psychology. Teaching since 1984. Travels worldwide offering workshops on all levels and individual and relationship sessions. Carolyn Conger, PhD – Voice Dialogue facilitations, dreamwork, psychological consultations, psycho-spiritual seminars. By phone — offering Voice Dialogue facilitations along with teaching the Psychology of the Aware Ego theory. In person — also offering brief or in-depth Psychotherapy. Barbara Druker – MSW, LCSW. Certified Career/Life Coach, licensed therapist. Offers Voice Dialogue facilitation to individuals, couples and groups. Specialties: Creating Life Balance; Enhancing Relationships. Also dreamwork, expressive arts. Monica Elden – M.A., Licensed Marriage and Family Therapist. Facilitating Voice Dialogue since 1990. Individuals, couples, groups and trainings. In-depth and brief psychotherapy for adults and children. Specializing in Expressive Arts. I have been practicing voice dialogue and learning how to utilize sexual response to manage my own pelvic pain condition for 11 years. I became a sexologist (which means I’m interested in what people do sexually and how they feel about what they do) to help people who have health challenges to adjust sexually. My training as a sexologist is experiential and includes a sexual attitudes reassessment process (“SAR”), which I have both attended and facilitated. My work as a sexologist requires ongoing sexual self-assessment, in order to provide the safe, non judgmental space necessary for clients to explore their sexuality. I do this by living in my body, exposing myself to regular courses and workshops in personal growth and sexuality, and processing my own attitudes and beliefs. Wm Coke Harrell,MD – A wholistic medical practice including prevention, nutrition, dreamwork, Voice Dialogue, medical hypnosis, biofeedback, and Hellerwork and Feldenkrais bodywork. My clients have said that they feel very safe with me. I bring genuine warmth and caring to the therapeutic process. I find that every psyche is unique and has its own inherent wisdom. I feel it’s important to honor that unique wisdom in all of my clients. I have been receiving, facilitating and teaching Voice Dialogue for (yikes) almost thirty years. This process continues to be alive in me and sharing it with others a delight. In addition to private sessions, I offer workshops and groups that combine Voice Dialogue with Archetype Collage, Authentic Movement and other body/soul modalities. I’m currently working in partnership with Debora Morris, offering programs exploring the challenges of aging with Courage, Grace & Authenticity. My work is Personal Development, an Alternative Therapy for creative solutions. The work opens interior ‘doors’ to personal desires, artistic inspiration and business strategies. It helps to heal old wounds and manage lives in creative ways. From a life of marriages, raising children, theater, film, travel and exploration of all kinds; Now in my 70th decade, I’m entering an era of Wise Woman’s compassionate healing. I have had a passion for the exploration of consciousness since the late 1960’s. I have relentlessly pursued this exploration through the study of psychology and spirituality in both academia and through participation in several leading psycho-spiritual teachings including Voice Dialogue. My overarching perspective on consciousness work is that you can only take people as far as you have gone in your own personal work. Arianne Koven – Doctor of Naturopathy & Holistic Health – runs Women’s Voice Dialogue Groups as well as private sessions for couples, individuals and children. It gives me great joy to share with others the tools and benefits of my own forty plus years of personal work and professional training in the areas of personal and spiritual growth, healing and transformation. Voice Dialogue radically transformed and upgraded the quality of my own life and professional offerings when I was first introduced to it in 1990, by Drs. Hal and Sidra Stone, especially the work with Embracing The Inner Critic and the use of expressive arts therapy. I find that Voice Dialogue greatly speeds up the rate at which positive, lasting change is possible…and it’s an approach that is fun while offering deep insights into the question of “Who am I ?” I offer a client-centered, intuitive, compassionate approach that provides a safe space for personal inquiry and process. Voice Dialogue may be done by itself or combined with any of my other services. Please feel free to contact me for a complimentary phone consult to see if working together is the next step for you. Tanha Luvaas – M.F.T., Facilitating individual and couples sessions in Voice Dialogue as well as giving talks to groups, leading small ongoing Voice Dialogue groups and giving Trainings. 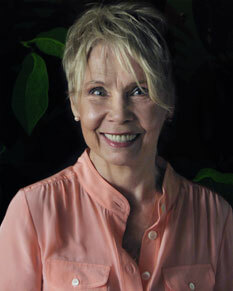 Janis McCann – Ph.D., LMFT Mythologist. Certifed Depth, Sacred and Imago Relationship Psychotherapist combining Imago Relationship. Dreamwork and Voice Dialogue for personal growth, intimacy, life-work transitions, creativity. Professional/corporate coaching-training available. Nicolee Miller-McMahon – Licensed Marriage and Family Counselor MFC 21677 – Facilitating people in Voice Dialogue since the early 1980’s in San Diego, California. Deborah Morris – Masters – Clinical Social Work, L.C.S.W., B.C.D. – Voice Dialogue for individuals and relationships: In-depth psychotherapy and brief, issue-oriented counseling; Classes, Workshops. Randy Morris – Classical Homeopath, C.hom. Offering private Voice Dialogue facilitation work, workshops, trainings and psychological homeopathic consultations. Larry Novick – Ph.D. in Clinical Psychology. Facilitation and training in the Psychology of the Aware Ego including Voice Dialogue, Energy Training, Aikido. Donna Ray, M.A, M.F.T . – Facilitation in Voice Dialogue with individuals and couples. Twenty-five years of private practice in this method. Professional training groups available upon request. Brief, In-depth, and long term counseling available. Elaine Rosenson – M.A., M.F.T. Voice Dialogue and Aware Ego development for individuals and relationships. Woman’s support group. Ongoing weekly training group and Saturday workshops. Continuing education credit available. I’m a Certified Clinical Hypnotherapist, an Artist, a nondenominational Minister, and the Author of “Stress Reduction Journal: Meditate and Journal Your Way to Better Health.” I have over twenty-five years of personal meditation experience and am a contributing writer (monthly) for ALIVE magazine. My magazine column offers education and inspiration for a variety of topics, including weight loss, stress management, life transition, and creativity. In addition to my private practice, I teach workshops at John Muir Women’s Health Center in Walnut Creek, California. I teach a workshop, “Managing Emotional and Compulsive Eating” throughout the year. The tools that I soulfully share with clients address the mind, body, and spirit. I was in the first training classes in 1984 and I have continued to be deeply engaged in this process, training others plus experiencing at least one Voice Dialogue session each month, learning from my relationships and honoring my dreams. Navigating life is a pleasure and a challenge. Nothing is more satisfying than being fully present each day and guiding others in discovering what belongs to them. Being on staff with Hal and Sidra Stone from 1985 to 2012, participating in the International Conferences created by ITP, practicing energetics with Larry Novick, creating the Southern California Voice Dialogue Institute with Larry and Marsha Sheldon, teaching with Catherine Keir and exchanging sessions with many colleagues has enriched my Aware Ego Process. I offer monthly classes online on Dream Explorations and Working with Couples; a webinar of 36 hours intensive training in Voice Dialogue, Relationship Dynamics, Energetics and Dreams; monthly workshops and sessions in Southern California; bi-annual workshops and sessions in New York City and Europe; on-going workshops and sessions in Berkeley, CA. I am also available for telephone supervision and facilitations. 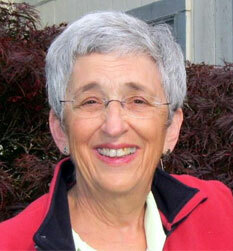 Nancy Donkin Young, PhD – Clinical License PSY #11961. Voice Dialogue Facilitations, Trainings. Psychotherapy Instructor Chapman University. John-Michael Zinn, PhD – Transformational Psychology, Licensed MFT, certified life/career coach specialzing in Voice Dialogue, Aware Ego, Dream work, Personal growth, Individual/Relationships, offers groups/phone consults, Life Manuals. Rev. MaryAnn Dickinson – B.S.N., R.N., Voice Dialogue (couples, individuals). Focus: strengthening the Aware Ego, integration of body/mind/spirit/emotion, energetics, dreamwork, guiding integration process using mirrors life provides. 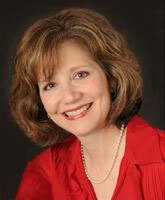 Eileen Flanigan – MBA, Author, Business Consultant, Voice Dialogue Facilitator. Utilizing Voice Dialogue in Executive Coaching, Corporate Training and in private practice with emphasis on Gifted Adults. 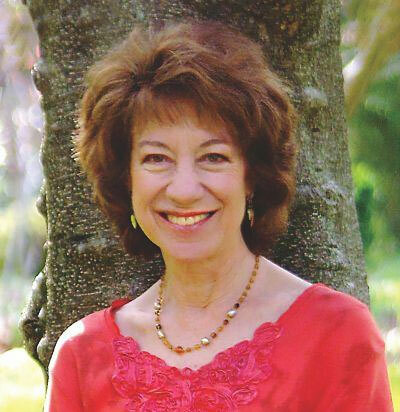 Francesca Starr, Ph.D., LPC, BCPC, Founder of Complete Life Center in Denver, CO. Francesca is a senior Voice Dialogue teacher and facilitator who trained with Hal and Sidra Stone and has served on staff at their training program. Specializes in individual counseling and coaching (in person, by phone, chat, and Skype) to solve life, work, and relationship issues; and up level life and professional skills from competence to mastery. The Center offers workshops, tele-classes, webinars, and training programs using Voice Dialogue to transform lives. Resolve inner and outer conflicts, heal core wounds, generate thriving, intimate relationships, and realize your complete potential. Call now and see how far you can go! Jonathan Goodman-Herrick – LCSW, Senior Voice Dialogue facilitator, teacher, supervisor. Individuals, couples, groups. 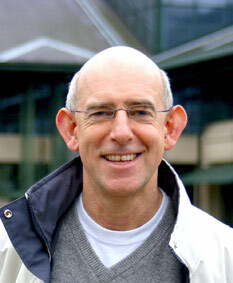 David Warren – Ph.D. is a Voice Dialogue teacher and facilitator. Voice Dialogue is my passion ! I’ve been using this process for myself and in my work with individuals and couples since the early 1990’s. I’m committed to facilitating the personal transformation of others through the Voice Dialogue Process. I also incorporate Compassionate Communication (aka Nonviolent Communication) into my work with individuals and couples. Rev. Nancy Davis – Certified Hypnotherapist; Voice Dialogue Facilitator (individuals, couples, groups); Life Coach; Author – Healthy, Wealthy & Wise, author – 11 Steps to Financial Health; Spiritual Counselor/Reader. Phone Sessions available. 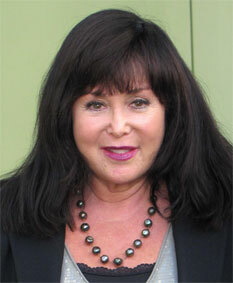 Phyllis Carrera – MA, Licensed Professional Counselor and Master Certified Life Coach. Has utilized Voice Dialogue as both a therapeutic tool and integrative coaching method since 2001. Manuela Terraluna – Individual sessions and group workshops/retreats, integrating Voice Dialogue with Tarot, Metaphysics and the Work of Byron Katie. Psychology of Selves prominent in own Advice Web Site. Jane Winter – MA, MFCC – Voice Dialogue sessions combined with the healing powers of Kauai. Healing vacations, telephone sessions, sacred excursions. Thirty years experience practicing psychologist. Alice Scully – MA, MFT – Private Practice. Trained in Voice Dialogue by Hal Stone twenty years ago and have used this model every day since, formally and informally. John A. Cooper – Masters in Organization Development, 14 years Voice Dialogue Facilitator. Individuals, couples, workshops, corporate coaching. Jan A. Foster, LPCC- Licensed Professional Clinical Counselor, Certified Phoenix Rising Yoga Therapist, Certified Yoga Instructor, MA Counseling Psychology, Voice Dialogue facilitator since 1995. Completed Level II/III Training. over 30 years of experience of teaching and counseling clients in self-empowerment. Her first introduction to Voice Dialogue was on the recommendation of Native American Shaman, Marcellus Williams, (BearHeart) and a channeled Ascended Master by the name of Bakatar. Regina Waterspirit was her first facilitator. Voice Dialogue has been one of the greatest tools for her own personal growth and in helping others for expansion of consciousness and getting to know their “selves”. Emmanuelle Chaulet – Trained with Martha-Lou Wolff and Tamar Stone and has done Voice Dialogue Facilitation Level 1 and 2. Ruth Berlin – LCSW-C, Voice Dialogue sessions for individuals and couples; professional trainings..
Ann Dobertin, LCSW-C, from Hyattsville, Maryland, has been working with individuals, couples, and groups for over 20 years. 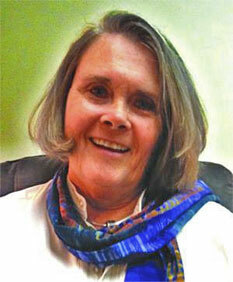 She has led dream groups and women’s retreat weekends, helping people integrate psychology and spirituality. 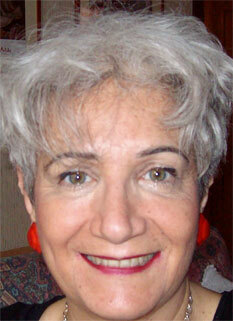 Ms Dobbertin is also an Imago Relationship Therapist, Advanced Clinician for 10 years. In the area of Voice Dialogue, she has led Level One Training for Professionals, Consultation Groups and Voice Dialogue Women’s Retreats and has been support staff for several trainings. Mira has been using Voice Dialogue as a highly effective psychotherapeutic modality since training in 2008. Joanne Gaffney, R.N., LICSW. Clinical Social Worker, Imago Therapist, EMDR, Rubenfeld Synergist (Body Centered Psychotherapy). 20 years clinical experience. Integrates Voice Dialogue into healing process for individuals and couples. John Livingstone, M.D. – Psychotherapist with children, couples and families. Harvard Medical School child psychiatry professor. Voice Dialogue (Psychology of The Selves) is a major orientation of his holistic approach. -50 years as a priest in the Archdiocese of St. Paul and Minneapolis, in Minnesota, USA and involved in Holistic Health and Healing education and ministry. – Trained and experienced in the field of Addiction and Alcoholism – education, prevention, teaching, counseling and strongly committed to and interest in the value of 12 Step Spirituality of Alcoholic Anonymous . 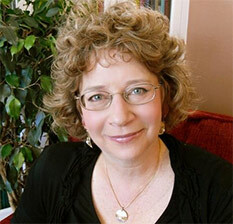 Lynda Borchers – MA – Counseling Psychology, Licensed Psychologist. General psychotherapy practice with additional specialty in health psychology/behavioral medicine and incorporating Voice Dialogue, dreamwork, imagery, psychoimmunology and other complementary techniques. Janny Padelford – F.N.P., Offering individual work, couples work, ongoing advanced group, ongoing groups for people with life threatening illness. If enough interest, would start a new beginners group. Essie Hull, Ph.D. – Licensed Psychologist – Voice Dialogue with appropriate individuals and couples, and occasional Voice Dialogue workshops with small groups. Jodi Shams Prinzivalli – Ph.D., N.D., Naturopathic Physician – Clinical Psychologist – Voice Dialogue Facilitator. Level I Training, Professional Supervision and Individual sessions available. Please visit our website for upcoming workshops and events. 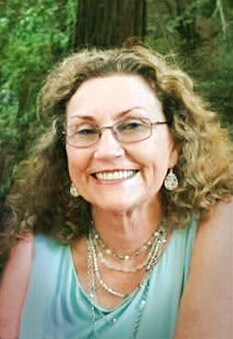 Donna Ritz – LCSW, Licensed Clinician, Imago Therapist. Voice Dialogue – individuals and couples – explore conflicts, enhance personal growth and explore intimacy. Regina Waterspirit – Voice Dialogue Facilitations and Study Groups. Inner Patriarch work with women’s groups and individuals. Jason Bennett – The Jason Bennett Actor’s Workshop – BFA, Voice Dialogue Facilitator with special interest in developing Voice Dialogue as a tool for actors. Individuals, Groups, Workshops. Dassie Hoffman – MA, ADTR; Center for Experiential Psychotherapy; Senior Voice Dialogue Facilitator/Therapist offering therapy and training; Women’s Groups; Dance Therapy combined with Voice Dialogue; individual, couple and group facilitations. Joanna Kaser – C.S.W. ; Transformational Psychotherapist. specialozing in Heart centered Psychotherapy, Voice Dialogue, Intuitive Counseling, Akasic Record readings, and soul and energy clearings. Individuals, couples, groups, and workshops. Telephone sessions available. 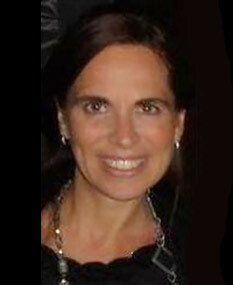 Yolanda Koumidou-Vlesmas – ACSW, CASAC,CHt – Executive Director of The Koumidou Center for Conscious Living, LLC. Uitlizing the Aware Ego Process to enhance consciousness through Workshops, Retreats and Training. Sherrod Perkins-Keane – M.A., AAMFT. Voice Dialogue Facilitation and individual, marital and family counseling. I’m one of those lucky people who stumbled on a career that both suits my interests and nurtures my passions. As an analyst, I love working with dreams and am endlessly fascinated by the movement of unconscious processes seen in art, fantasy, and daydreams. As a Voice Dialogue Facilitator, I am equally enthusiastic about the energetics of Voice Dialogue Facilitation, the expanded definition of consciousness in the Aware Ego Process, and immediacy of the understanding that com es from exposure to this work. To find something this energizing in the second half of life… I ask you… How sweet is that? Join me. Sharon Flegal – MA, LMFT, Facilitations, Presentations, Trainings, Workshops. Voice Dialogue blended with Energywork/Movement, Sand Tray, Play/Family therapy, Critical Incident Stress Debriefings, dreamwork, Peacemaking. Worldwide Trainings/Sessions available. Rod, DC, & Brooks Newton – Aware Ego coaching for individuals or Bonding Pattern Coaching for couples through personalized retreats with weekly telephone consultation follow-up. Northwest Seminars and Consulting – offers retreats and workshops worldwide. Included in their programs are PAIRS-for couples, Retreats and Seminars using Voice Dialogue, Emotional Literacy Work, and Holotropic Breathwork. J’aime ona Pangaia – Author – The Benefit of People Who Bug You. Veteran Voice Dialogue teacher and facilitator. 16 years experience. Offers “Deep Dialogue” trainings / sessions for personal / professional development..
Catherine Swan Reimer – Ed.D., Counseling Psychologist, Voice Dialogue Facilitator, Multicultural Counselor and Professor; offers individual, retreats, and workshops in Voice Dialogue emphasizing Native American symbols and teachings. 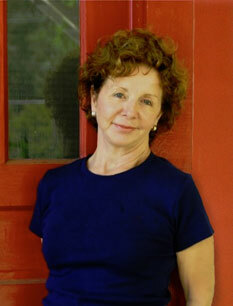 Judith Hendin, PhD, MFA, NMT – Director, Conscious Body & Voice Dialogue Institute. Private practice, worldwide telephone sessions, supervision, trainings (group and one-on-one). Professional and creative development. Healing body symptoms. Since 1989. After thirty years of working with individuals, couples, groups and families at every life stage, it now seems to me that many of the problems we face are in some way created by our attempt to live as if we are smaller than, less than we REALLY are. Life is always asking us to grow… and if we resist that invitation, for whatever reason, we will suffer. We will have “problems”. Almost all of us resist change – because we may not feel we should have to change or grow, or we are afraid to change, fearing there will be no support for it in the worlds and contexts in which we are living. No matter the reason, a refusal to respond to what is set before us and grow from it will create a variety of symptoms , potentially leading to depression or anxiety or other psychological problems. Acknowledging that these problems and symptoms undoubtedly have a neurophysiological substrate which may respond to medical interventions, most of us at some point, can find a deep connection and a path to healing and growth in a truly spacious, personal and confidential therapeutic relationship. Embedded in most life stages or problems is a call to engage with life in a larger and deeper way. It may also be a call to encounter our unrealized potential. The courage and commitment to engage with our problems in a soulful way will reward us with a more authentic and creative way of living. LeAnne I. Dougherty, LCSW, DSW – Certified Jim Shim Jyutsu Practitioiner. Individual and couple workshops and consultations with Voice Dialogue. M. Dorsey Cartwright – LFMT, Delos Senior Staff, presenter Harville Hendrix workshops, tapes and sessions combining Voice Dialogue/Imago Relationship Therapy for couples and individuals. Sally Davis – Masters Marriage and Family Therapy, Voice Dialogue Facilitations and psychological consultations, phone sessions available. Sandy Denke – M.A. in Transpersonal Psychology and Cultural Anthropolgy, Private Voice Dialogue Sessions for individuals and relationships, phone sessions available, dreamwork, workshops offered, and Corporate Consulting. Jane Helsley – M. A. Ed. ; Specialist in gender relationships, diversity and cross-cultural issues; Voice Dialogue facilitation in private session or by phone. Check website for workshops, weekend retreats and other services. The Texas Institute of Voice Dialogue – Directors, Dorsey Cartwright, author of Voice Dialogue & The Psychology of Selves, The Basic Teacher’s Training Manual, and Neil Meili, poet, offer on-going classes, facilitations and Trainings. Rick Graham – Masters in Fine Art, Associate Professor, offering workshops on creativity and Voice Dialogue, individual Voice Dialogue sessions. Miriam Dyak – Delos staff member and author of The Voice Dialogue Facilitator’s Handbook, offers Voice Dialogue sessions and trainings, and Transformation Games (TM). Peter Kane – Registered Counselor, Rebirther, Offers Voice Dialogue facilitation for individuals and couples as well as groups which incorporate Voice Dialogue. Catherine Ann Keir – Delos senior staff; Registered Counselor, Voice Dialogue Trainings; Voice Dialogue Facilitations for individuals or couples; Voice Dialogue presentations for groups or businesses. MA in Clinical Psychology. Individual session & group training in Voice Dialogue, Body Centered Awareness Process and Conscious Relationship transformation. Authentic movement, conscious breathing & expressive arts. I have been a Voice Dialogue Facilitator for more than 8 years and would like to be listed as a facilitator on your list. I am also a Personal and Professional Coach and incorporate Voice Dialogue in coaching as well as train coaches to use Voice Dialogue. Thank you for your assistance. Francine Pinto – Empower yourself, your relationships and the world. Voice Dialogue has been a welcome addition to a lifetime of study doing “parts” work. I enjoy incorporating it into individual, couples, group and supervision sessions whenever it seems appropriate. I find it personally very useful whenever I am stuck with a life dilemma or am not clear on where I want to go next with a client. I am very interested in the interface of spirituality with mental health, positive psychology and the use of metaphor, guided imagery, art, music and movement. Voice Dialogue is beautifully paired with all these varied approaches. Rebecca Riales – PhD in clinical nitrition, MMus in piano performance, MEd in counseling psychology. Sessions of Voice Dialogue energy work offered in private practice outpatient clinical setting. Norie Huddle – I’m an advanced practitioner of the Voice Dialogue Process and incorporate Voice Dialogue (where appropriate) into my consulting, working with business clients, couples and individuals. I also am an advanced practitioner of the Personal Totem Pole process (developed by Dr. Stephen Gallegos). I assist clients in clarifying their goals and visions, in teambuilding, developing high-level communications (using video feedback). In addition to English, I’ve also facilitate Voice Dialogue sessions in pish and Japanese. Janice DeLuca, R.N. – Voice Dialogue Facilitator.